If there is anything Microsoft does right, it is controllers. The Xbox Elite controller remains one of the best on the market and the base Xbox One controller is pretty rock solid as well. Not mention the Xbox Adaptive controller is just about one of the best stories in gaming this year. Today, Microsoft announced a new and fresh entry into its growing lineup of Xbox wireless controllers. And this one looks minty fresh! 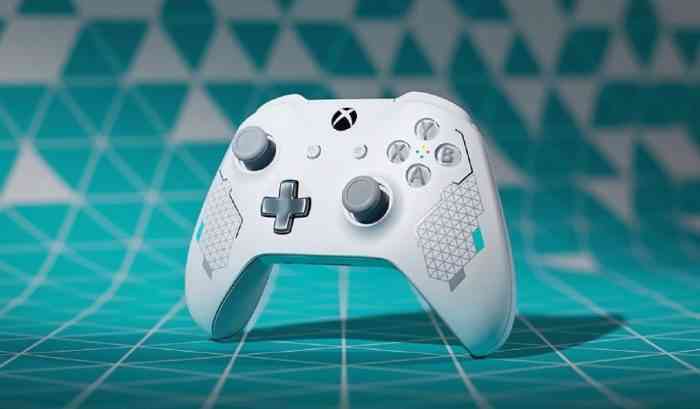 This new Xbox One controller is called the “Sport White Special Edition” and is the first in a new Sport series, which will presumably feature other entries with a similar aesthetic and different colors. We love the look of this new controller and Xbox appears to be going for a sporty feel. It has a largely white shell and mint-colored accents. The design is rounded out by some grey and silver patterns on the front, and grey diamond grips on the rear. The controller just looks fresh and it just pops. The Sport controller will ship with 14-day trials for both Xbox Live Gold and Xbox Game Pass. Also, the Controller Gear will have a matching charging stand available as well. Microsoft reports the Sport White Special Edition will be available for $69.99 starting on July 31 in the U.S. and Canada, with the rest of the world to follow on August 7.